This display clock is perfect for the dog lover! 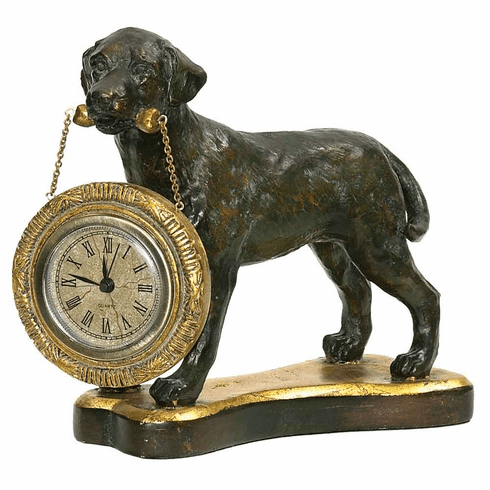 Painted in a finish that replicates a bronze statue, the Labrador carries a golden bone in its mouth where the clock hangs from a connected chain. The Labrador stands attentively on a base in the shape of a bone. Hand assembled. Quartz clock movements ensure reliability and trouble-free service. Uses 1 "AA" battery (not included), and comes with a 1 year warranty.